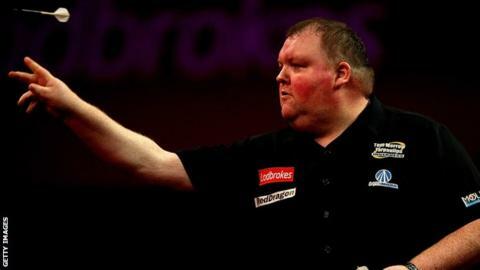 John Henderson knocked seventh seed Dave Chisnall out of the PDC World Darts Championships first round. Henderson won the first two sets but Chisnall fought back to take the third set with a 121 finish before winning the fourth set three legs to nil. Chisnall missed a bullseye to win the match and Scotsman Henderson won the deciding set 5-3 to progress. Five-time world champion Raymond van Barneveld of the Netherlands beat Jamie Lewis 3-0 to reach the second round.